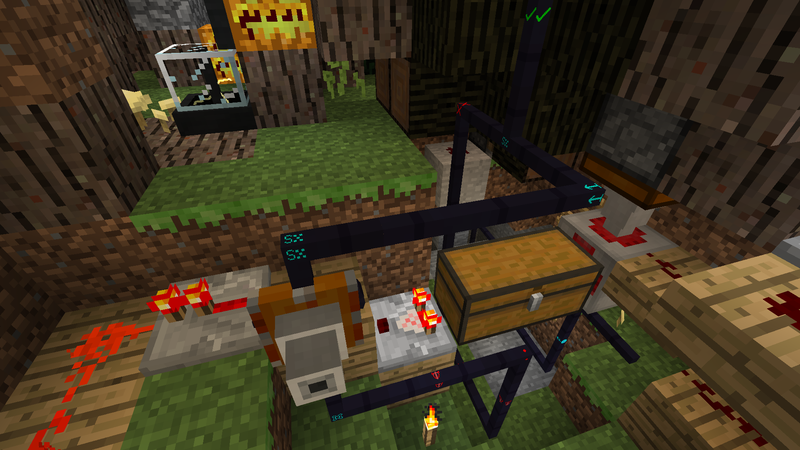 This mod adds minimalist parts for expanding vanilla redstone automation, and many other things. Twist the very fabric of reality! 1. Download and run the Minecraft Forge Installer. The version of Forge that I'm using is given by the download link. Anything newer will usually work, and sometimes older versions will work as well. 2. Check that the forge install worked by running the client (or the server). Forge information should be on the title screen (or in the server's logs). Close Minecraft. 3. Put Factorization.jar into the mods folder. First, you must discover the Lost Treasure Map. It was last seen near diamond ore. Treasure maps are very rare and very fragile, so treat it gently. Right-click the map once, and follow it to find a well-guarded stash somewhere on the surface. This stash will contain a Logic Matrix Programmer, and occasionally a few other useful materials. The Logic Matrix Programmer can then be used in the recipe below to create the Factorization Manual, which can teach you everything worth knowing! Or here's an outside-of-Minecraft copy of the manual. The license is now MIT. Feel free to use it in ALL the modpacks. Here's a big fat list of every version ever. Go here for very old versions. Please report bugs! But for faster customer service, report them to me in #factorization on irc.esper.net; I don't make a habit of reading this thread. If something seems like it should be easier than it is, let me know; I tend to have a bit of a heavy hand with these things. Small/simple/tiny feature requests may be welcomed, but Ideas are not. You can use FZ in your modpacks. "Old Metal", by digifishmusic. Unmodified. CC-BY. Hammer (or FZDS, for FactoriZation Dimensional Slices) is a WIP engine upgrade for Minecraft that gives it the ability to move and rotate chunks arbitrarily. 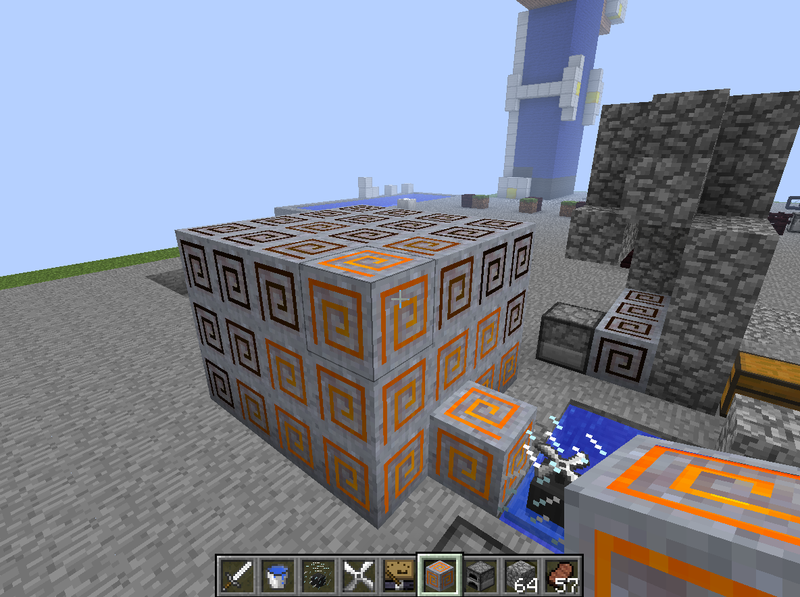 It is used to implement the Colossi and the Twisting Block, with more things to come. Unfortunately there are some bugs that happen with Optifine & bukkit/spigot/cauldron right now, and I'm not really able to fix them. However there will also be bugs with other mods, so please let me know about them. Hammer can be disabled by editing hammerChannels.cfg. If you're having problems with a colossus or anything else that uses Hammer, you can use the "/fzds +" select and "/fzds remove" to kill them. Or it can be disabled from hammerChannels.cfg. The things without documentation aren't completely finished. Feel free to not use them. You had me at quantum stockpiling. But yeah, like aser said using the ore dictionary would probably be a good idea. But yeah, like aser said using the ore dictionary would probably be a good idea. I already use ore dictionary, and there is a config option to disable silver ore gen. Not that I've yet tested that either of them actually work. Edit: Love it really great work. Don't think the thread has been updated because there is Mech armour and Mech upgrade machine that I'm not sure about how to use. I will familiarise myself with the mod a bit more then do a video for you. Mecha-armor isn't terribly useful yet. You can put it in the M-slot in the mecha-modder, and drop an appropriate type of vanilla armor in. The mecha-armor'll then pass the damage to that armor. (Multiple armors don't stack, they get used up one-at-a-time.) Armors that take less mecha-chasis to craft have fewer slots. Eventually I'll have tons of upgrades for everything that I can think of. Right now their textures are quite terrible. I like the barrels idea. Great work, I'm interested to see where this mod goes. If you want to say something to me, make sure you quote my post because I don't usually check back on topics. Here's an old video: This can no longer be done because changing the inventory in project tables lets you get infinite diamonds. I haven't used queues to use since then. They could be used to make something similar to piston tape, using an item detector. 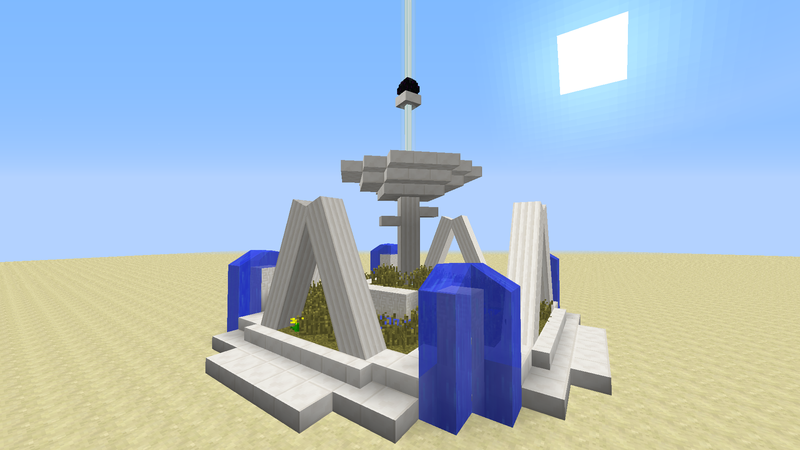 On one of my legit worlds, I made an IC2 machine processing system. One router is input for a bunch macerators, another for a bunch of furnaces, and a 3rd takes output from those and a few other miscellaneous IC2 machines. I'm quite pleased with the router texture, except maybe for the top; I might do something more meaningful with it in the future. Crafting machine textures are lookin' pretty good. I made the slag furnace texture in like 2 minutes, and I'll probably change it. The mecha-textures are temporary, and worn mecha-armor in particular looks absolutely awful. I'll probably have to completely redo how wrath-fire renders; particles are too slow. I'm going to make a cheaper recipe for diamond shards. The router/double chest thing was an easy fix. I'm still looking at the problems with the slag furnace. isn't this suppose to be in "content packs" forums? Nope, it's a good thing to use with redpower, not extending the mod. So, in no way is it a Content Pack. Five minutes later, the Predator was killed in a tragic incident involving bloodthirsty baby chicken. the whole thing blew up taking a massive chunk out of my spotlight area. Is this supposed to happen? Yes. It shouldn't happen in a single click unless you're in creative mode or using some super-tool tho. I'll make the danger a bit more obvious. Also I've found you can overfill the barrel by accident, if you double right click when there is space for one stack all the stacks in your inventory will enter even though there is not enough space. Oooh, thanks for reporting that. Fixed in my dev version. Is there a way to disable everything but the barrels/crafting machines? "Sometimes it's necessary to go a long distance out of the way in order to come back a short distance correctly." Excellent video! It's the stamper that would uncraft the iron block, not the packager. Dev version has a config option to keep wrathfire from spreading. The sentry demon is a chunk loader. I'm not entirely sure it works properly. It does manage to keep them loaded, but it probably shouldn't be used on frames for now as I think it doesn't let chunks unload after it has left. The barrel should *only* blow up when broken with more than 64 stacks in. EDIT: Im in love with the router... can we get a filter for extraction? Doskan: :| I guess I'll have to play with BC/Logistics Pipes then. Router upgrades'll be a thing next version. I don't know why, but the adfly links aren't working for me, could you just do a straight download to dl dropbox or mediafire? Only feature for next release that I can think of right now is router upgrades. There'll be a "machine filter" upgrade (which will work exactly like the top button on the router UI), the "item filter", and a "througput upgrade" (which will cause the router to deliver by entire stacks instead of single items). The release after that'll prolly be electricity, and will use lots of lead: coal-powered generators, wiring, batteries, heaters. And then maybe mechasuit upgrades and more ways to increase ore yields? Is this mod fine to use on Bukkit servers do you know. I have no idea; I've never seen any explanation of that mcportcentral thing. "cpw feels like porting --> he does something magical with his magical unicorn horn --> bukkits"? That's a lot of mods. I only tested with EE, as I know it uses the C key. Using the latest version, I haven't found any bugs. In brief: Mecha-upgrades, and Router upgrades. Doesn't work with the old ModLoader. Do not install ModLoader, install the recommended Forge version instead. The pistonless recipe for makers has been removed, 'cause it didn't make sense, 'cause the recipe for pistons doesn't make sense. Redstone ore, Tin, and Copper are now slaggable. Bound demons are now mostly harmless, and unbound demons more dangerous. Internal workings of barrels changed so that they should now work with Logistics Pipes, and should be more likely to work with other item-moving systems by default. Since I found like 4 silver veins right next eachother in my playtest world, silver is now guaranteed to not spawn in every 3rd chunk. now have an upgrade system! And the GUI has been re-made. I'm hoping that an GUI w/o upgrades will be easier to understand. Did I mention that you can turn off a router by giving it a redstone signal? That's not actually a new thing. Additional fun router-related/factorization-GUI fact: Many buttons can be right-clicked. buoyancy barrel: This makes you rise quickly through the water. I hope you haven't forgotten your water elevators! cobblestone drive: a cobblegen in your back-pocket. The cobble will quickly disappear. 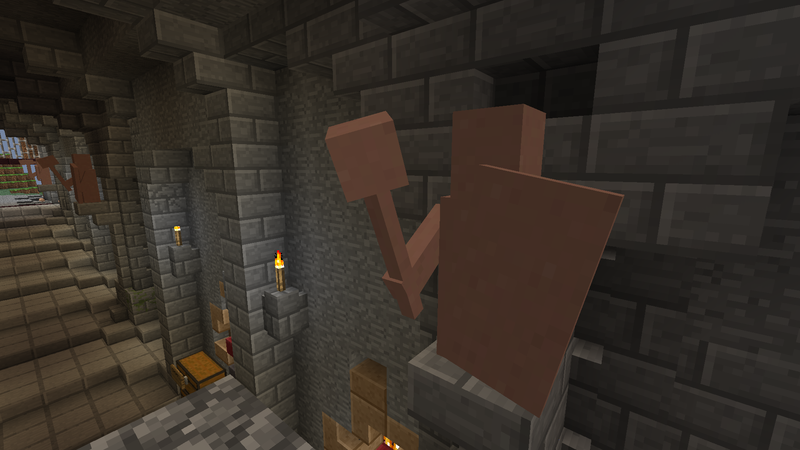 shoulder-mounted piston: This lets you push blocks. wool: pretty colors. Others might not see it in SMP? A very small taste of things to come; these are mere toys. Most upgrades'll require an energy source and/or very, very exotic materials. Now using the cooler texture for dark iron. It looks so much cooler now. Those look like stovetop burners in block form. Do they get hotter the closer to the power source they get? 2012-07-29 21:41:05 [SEVERE] A critical error has occurred. got this error when closing my inventory after using the 2x2 grid while holding a portable inventory. So whats this then? Is it your new power gen? Didn't notice the shoulder piston in the latest update. Amazing! If by 'that' you mean the Solar Turbine (the glass box), then yes. They get hotter as they accumulate energy. The ones further away are more likely to not have any energy left for them. I don't think this'll be too much of a problem now, as they're less greedy. 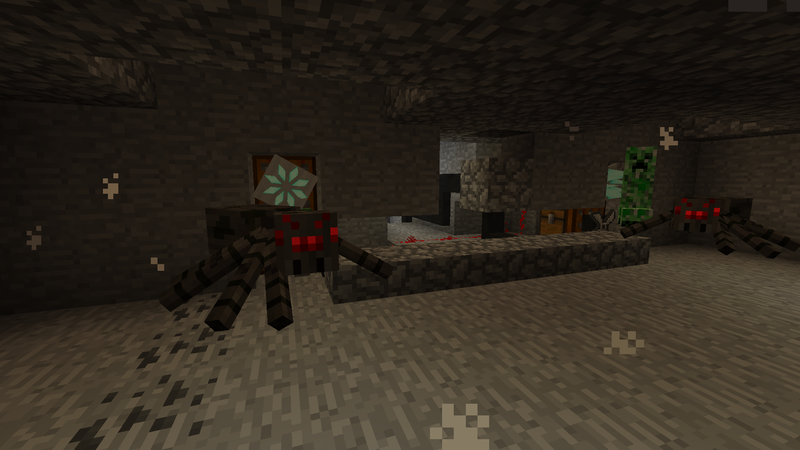 This Mod is really cool, could you might add a Feature to the Router that it emites a Redstone Signal if it have Items in it? Then you could automatically pull them out. It would be even better if you could use one Router to put Items in the Network and to Pull them out. Ohh and i don't know whether that is a bug or not but with the Machine Filter Upgrade the Router not just show the machines that are somehow connected to it but rather all machines that are in a big range around it. I could add in an auto-ejector, which could be used with a RedPower relay to put items into a tube network. insufficient details could not reproduce might be IC2's/your fault anyways. Factorization is not actually doing anything in that stacktrace. Maybe you installed NEI wrong?